Traveling with your kids may not always be the easiest option. However, the benefits to doing so are huge! Check out 5 Reasons to Travel with Your Kids ! Traveling with kids allows them to step outside of their comfort zone. No matter where you travel there will be new experiences for your kids. Whether they try new foods or get to view new cultures, traveling with kids will expand their minds on other ways of life. Your kids have grown up eating specific foods for breakfast, lunch and dinner, but when you travel with kids they get to experience new food options for those meals. In addition to expanding their minds, you will broaden their horizon by allowing them to see different ways of doing everyday things. Kids who travel with their family are often found to be kids who can easily adapt to new situations and changes in their everyday life. As kids travel the world with you they get to experience new ways to do things, new foods and other cultures. This allows kids to become more adaptive to their everyday surroundings as they get older. When you take your kids traveling with you they are free to let loose and enjoy life. Often times traveling isn’t about having a rigid schedule but more about experiencing a new place. As you watch your kids relax and let loose in a new place, you will soon find that they may have new interests appear. No matter where you travel there will be some sort of historical presence. Every town, city, country and state has its rich history that you can experience. Whether you go on a voyage to stop for historical markers or you go to historical museums when traveling, there are many ways kids can get hands on education while traveling with you. 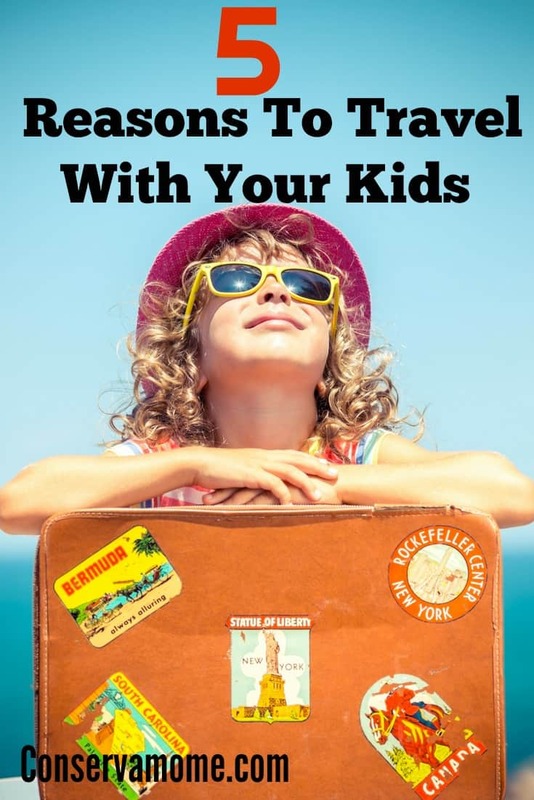 There are many pros to having your kids travel with you this summer season. While getting away as an adult may be important, it’s just as important to incorporate your kids into the travel plans at least once over the summer season. Never mind all that traveling offers kids, the experience alone will be a memory they hold onto for the rest of their lives. Looking for some tips on Travel with kids? Check out Some Tips for On the Road travel and Tips to Plan a Stress Free Family Vacation. I agree. My mother started traveling with us at an early age. She started out not far from home with short excursions. We mostly camped. So many wonderful memories. Our last trip was from Pa to Ca for 6 weeks. I was grown with children of my own and we traveled with a 2 yr 5yr 6 yr and 7 yr old. Nothing beats travel to expand everyone’s outlook. I agree with all five reasons. I love the educational opportunities. Letting them see hands-on what the rest of the world is like, and what it used to be like… you just can’t beat that for cultivating understanding!